Google announced last week that it has decided to change its corporate structure and will form a holding company called Alphabet. 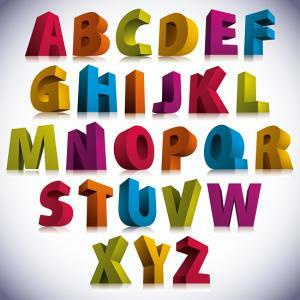 Plenty of corporations utilize holding companies so no big deal there, but one question that came to mind, is whether they did a Google search to see if anyone was already using the name Alphabet. There are in fact a whole bunch of other entities that use this name, the largest of which is BMW's fleet leasing operation. BMW owns the domain name alphabet.com and the Germans are not amused. BMW is looking into whether copyright infringements have occurred and say they are not interested in selling the domain name, even to Google. Legally speaking, however, just because one company uses a name doesn't necessarily mean that others cannot. A copyright infringement only occurs when the use of the name causes confusion among consumers according to the US Patent and Trademark Office. Certainly, one might argue that Google is in the car business, although the self-driving vehicles designed by Google X are pretty much the polar opposite of BMWs machines designed with engaging the driver in mind. So, we will have to wait and see the ABCs of what will happen here, but it is interesting. The banking industry is also chock full of holding company corporate structures. In fact, most banks in the US are owned by bank holding companies - about 80% of the commercial banks in the US are a part of a holding company. The bigger the bank, the more likely they are to have holding company ownership - some 95% of banks over $10B are owned by holding companies whereas about 73% of the banks under $100mm are. This makes sense when you consider banks use holding companies for a variety of reasons, most frequently for better access to the capital markets (a holding company has the ability to raise capital in forms other than common stock and more ability to incur debt). Having a holding company also allows activity that may be more easily conducted outside an insured depository like investment management and fiduciary services. Holding companies can also offer increased flexibility for banks involved in merging or acquiring another bank. Bank holding companies are always supervised by the Federal Reserve. Multibank holding companies can also be found in the industry and offer the means for a group of smaller banks (that are owned by the same parent company) to centralize services like independent loan review, audit, bond portfolio management and other things. There have been almost no de novo banks formed in the years since the financial crisis, but looking prior to that, very few banks were formed initially with a holding company because it typically requires additional expense for the added filing requirements as well as more capital. The Federal Reserve is neutral on whether banks should form a holding company, considering it a structural alternative that may be appropriate for a bank's business plan or not. Some banks end up acquired by a holding company in M&A activity and therefore don't form one themselves but in the end, most banks end up in this type of corporate structure. Almost no bank customer knows the name of the holding company that owns their local bank and Google's change in corporate structure may end up the same - simply a structural change to facilitate management of its various entities. For us, we note it is fun to know that in the beginning Google was named Backrub, a reference to the original technology called backlink tracking that formed the basis of the search engine. We like to imagine doing a Backrub search and wonder what would have been returned that could be shown on bank owned technology equipment. Seeing how far Google has come and been adopted into modern language as both a noun and a verb, we wonder whether Backrub would have found the same adoption or been lost in the alphabet soup of internet jargon. Treasury yields rose 1 to 3bps as new home construction in the US rose to an 8-year high. Reports on mortgage applications and consumer inflation. 1) BB&T ($184B, NC) will acquire National Penn Bank ($9.6B, PA) for $1.8B in cash (30%) and stock (70%). 2) First National Bank of Pana ($143mm, IL) will acquire The State Bank of Blue Mound ($33mm, IL) for an undisclosed sum. 3) First State Associates ($134mm, IA) will acquire Miner County Bank ($47mm, SD) for an undisclosed sum. The Fed reports the lifespan of various bills is determined by denomination and by how much the public uses each one. Of note, the average lifespan of a $100 bill is 15Ys; the $20 bill is 7.7Ys; the $1 bill is 6Ys; and the $5 bill is 4.9Ys. A Deloitte survey of business leaders focused on their expectations for economic growth over the next 12 months finds: 39% expect the economy to grow at a rate of 2% to 3%; 36% expect it to be in excess of 3.5%; 20% predict 0% to 2%; 4% expect no growth and 1% say it will be negative. As of the end of 2014, about 70% of US adults had smartphones. You might be interested to know that as millennials have taken over boomers in the workplace, so too have social platforms seen shifts in user base. The latest Pew research finds the most popular social media sites for Americans who are on the internet in 2014 were: Facebook (flat YOY at 71%); LinkedIn (up from 22% to 28% YOY); Pinterest (up from 21% to 28%); Instagram (up from 17% to 26%) and Twitter (up from 18% to 23%). By age group, 56% of online adults 65Ys+ use Facebook now or about 31% of all seniors. Meanwhile, about 53% of adults ages 18 to 29 use Instagram. Forbes reports the average worker today stays at their job for 4.4Ys based on data from the BLS. Of note, 91% of millennials say they expect to stay in a job for <3Ys based on a survey by Future Workplace.